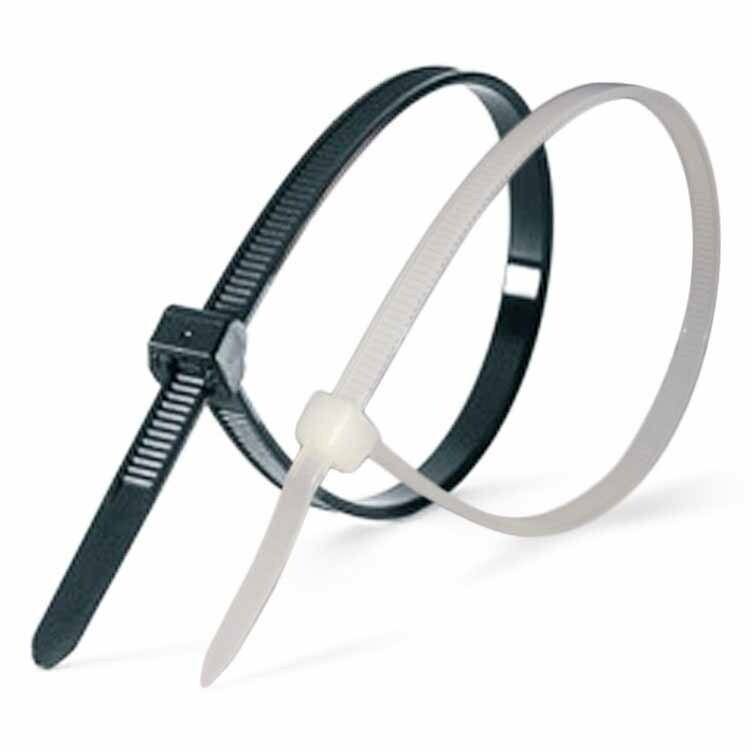 TriCab Cable Ties are designed for reliability and functionality. Constructed from Nylon 66, featuring smooth rounded edges for easy handling. Incorporating a finely spaced gear rack, TriCab Cable Ties allow for precise adjustment and provide a snug fit. Available in natural or black (UV resistant). Nylon 66, 94V-2 certificated by UL. Heat resistant, anti-corrosive, excellent insulator and long lasting.